Many people are interested in grant writing either as a source of funding for their nonprofit or as a source of freelance income for themselves. There are many books available on the subject, but most are lengthy books that take hours and hours to read and digest. An Introduction to Grants and Freelance Grant Writing can be read cover to cover in about an hour and give the reader an overview of the process and how to go about it as a business. Need an introduction to the world of grant writing? To get us up to speed, Waddy Thompson, author of An Introduction to Grants and Freelance Grant Writing, has kindly sat down to give us some tips that will help us dive right into the grant writing world. Waddy, from the outside, it sems that there are so many different aspects to the world of grants. What inspired you to share your grant writing experiences with others? Month after month, the article on freelancing is the most read article on my website by far. Seeing the great interest in the subject, I wanted to create a broader view of grant writing for the beginner. So, what’s the most important thing for the beginner to know? There’s no real mystery to grant writing, but you have to know a few basics. And the basics that you lay out in this book are drawn from your own life, correct? Yes, this book draws on my 30+ year career in fundraising and on my teaching at New York University’s Heyman Center for Philanthropy and Fundraising. With so much direct industry experience some people might find it hard to share their message so that even a beginner could understand it. What did you think about as you wrote that allowed you to produce a book for beginners? I always think about my reader when I am writing. Will what I’m writing make sense to someone without a fundraising background? Will my style make the information easily accessible? With so many questions to answer, do you find that the act of writing ever gets overwhelming and exhasting? Writing always energizes me. I find it rewarding to take a step back from the practice of fundraising to think about just why we do what we do and what it takes to be successful in fundraising. And I’m sure that with the tips you share in your book, many readers will also be rewarded by your experience. Waddy, thanks for thanks for sharing your insights into the grant writing process with us today. Excited to read the book we discussed today? Find it here on Amazon: ‘An Introduction to Grants and Freelance Grant Writing ( ASIN: B07GLZ1QYT )‘. 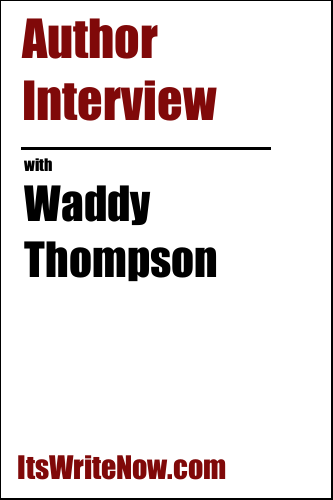 Want to find out more about Waddy Thompson? Connect here!